This is a copy of the March 24th edition of our weekly Newsletter, which we have been publishing since October 2015. The strong growth prospects for the cannabis industry have encouraged some companies with operating histories outside of it to begin to embrace it. This week, CVS announced that it will be selling topical CBD products in eight states, a move that was more exciting for CBD product manufactures than for CVS, at least as measured by the stock market reaction. Of course, a massive company like CVS is not likely to see its revenue or earnings impacted significantly, but there are many examples of companies that are transitioning towards cannabis. Some of the more recent and better known entries that have real operations in the cannabis industry include Scotts Miracle-Gro, which has a large ancillary business, and Village Farms, which owns half of a Canadian LP and is set to begin hemp operations in the U.S. Lesser known but on a similar path are tobacco-focused 22nd Century Group and Pyxus International, and Alberta liquor retailer Alcanna, which has opened five cannabis stores in Alberta and soon one in Ontario. While many cannabis investors would prefer to invest in a pure-play, it is possible that these transitional plays can work out very well. Village Farms, for example, has increased 1060% since announcing its JV in June 2017 despite minimal cannabis revenue to date. At the same time, despite its heavy M&A activity that now leaves it reasonably leveraged to cannabis, Scotts Miracle-Gro hasn’t performed well. Alcanna has dropped 55% since Aurora Cannabis invested over C$100 million into it in February 2018. Not a week goes by, it seems, that some company that hasn’t ever accomplished much of anything is suddenly a cannabis company, and we suggest that our readers approach these situations with skepticism. Truth be told, though, 22nd Century Group, Alcanna, Pyxus and Village Farms didn’t exactly offer stellar operating performance or track records of substantial shareholder value creation, yet we believe that investors should at least explore these types of situations. Is management qualified or capable? Does it have access to necessary capital? Can the cannabis operations move the needle? Can the valuation be justified? Alcanna, who isn’t a client of New Cannabis Ventures, looks like it merits attention as we think it answers the questions above well. Additionally, the market seems to be largely unaware of the story. In a nutshell, the company is in the midst of a turnaround in its core alcohol retail business and posted 7% same-store sales growth in Q4, its best performance in years and despite a soft economy in Alberta. The company is at a breakeven with respect to operational cash flow and has access to capital to fund CapEx for its core business and its cannabis operations. 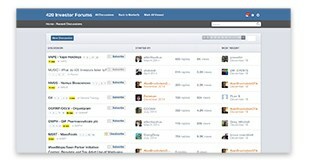 The stock trades at just 1.6X tangible book value, with a market cap of about C$194 million. It seems like CEO Jamie Burns had it right on their recent conference call when he suggested that the cannabis operations are essentially free. For comparison, we note that retailers Westleaf and Fire and Flower sport market caps of C$352 million and C$234 million, respectively. We expect to see more companies enter the cannabis industry from a position of already being operational outside of it, and some of these new entrants may create value. It’s important, in our view, for investors to get a handle on their non-cannabis business, as for many of these companies, cannabis could be the tail trying to wag the dog. Finally, investors should be very careful not to put cannabis valuations on non-cannabis operations. 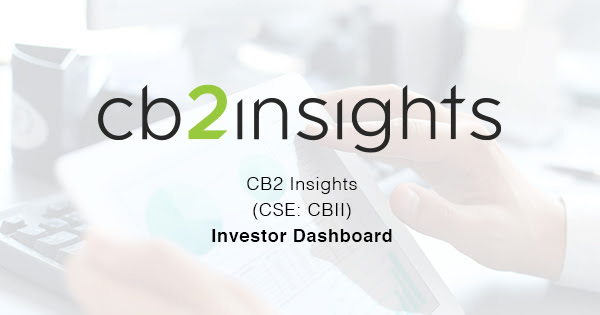 To learn more about CB2 Insights, a client of New Cannabis Ventures, visit the company’s Investor Dashboard that we maintain on its behalf and click the blue Follow Company button in order to stay up to date with their progress. For investors interested in the cannabis industry and for operators looking to tell their differentiated stories, there is no better event than the Benzinga Cannabis Capital Conference. After highly successful events in Miami and Toronto in recent months, Benzinga returns to Toronto at the Fairmont Hotel next month, and we are excited to partner with them again. For high quality companies interested in presenting, please email PatrickLane@Benzinga.com to learn about the many opportunities available. Tickets are limited! New Cannabis Ventures should use code “NCV” to ensure a seat for a 20% discount. We look forward to seeing you there!